Humanity’s Mobile employee scheduling app is very useful for various activities such as viewing schedules, picking up shifts, employee communication, time clocking etc. Our users say it really helps them to do lot of above activities very quickly on the go. 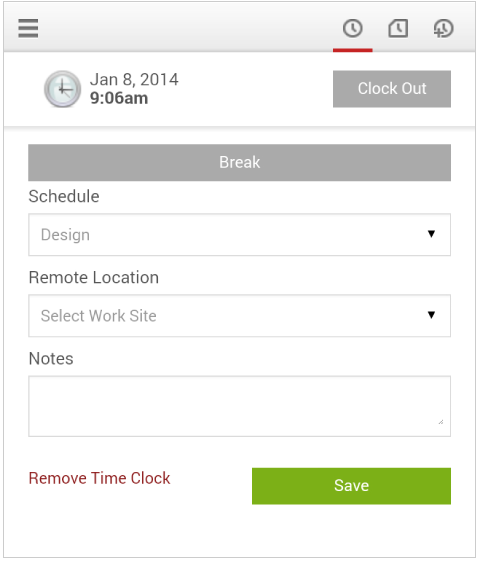 This time we have added a new feature in time clock module of our mobile employee scheduling app. 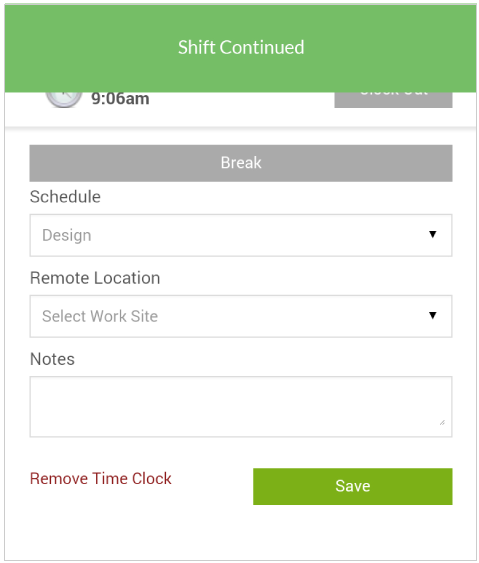 Now you and your employees can easily take breaks during your work schedule from your mobile device.This feature was a part of our web application from sometime but now it is available on your iPhone, iPad and android scheduling apps. This feature will help field employees, contractors and other remote working staff who do not have access to a desktop/laptop computer to take breaks and managers to monitor employee break activity. We hope that this feature will help you and your employees manage all time clock activities without device and location constraints. As usual feel free to add your comments below, send us email to info@Humanity.com or tweet us @Humanity if you have any questions/concerns/suggestions.